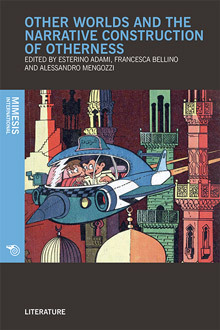 The papers collected in this volume deal with the explorations of Science Fiction, Fantasy and, more generally, the representation of otherness through the narrative construction of fantastic, imaginary, appalling or attractive places, stories and figures. Contributions are arranged in four main sections. The first section (Other spaces, new worlds) deals with Hindi and Arabic Science Fiction. The second section (Constructing forms of otherness) analyses the narrative and psychological mechanisms that give forms to a stereotype or archetypical image of the threatening Other. The third section ((Re)shaping style(s), language(s) and discourse(s) of otherness) is centred on the idea of language as a tool to build up styles, genres and texts, and literature as an escape from disappointing history and a cross-cultural wandering space of narrative ghosts. The fourth section (Circulating fearful otherness) tests the limits and heuristic potential of a philological approach in reconstructing the wide circulation of motifs and characters from antiquity to (post-)modernity. Esterino Adami is a tenured researcher in English language at the University of Turin. His research focuses on literary linguistics, sociolinguistics and postcolonial cultures. Francesca Bellino is a tenured researcher in Arabic literature at the University of Turin. Her main research areas focus on Middle Arabic Literature and Arabic philology. Alessandro Mengozzi is Associate Professor in Semitics at the University of Turin. His main research interests are late Classical Syriac poetry and Modern Aramaic language and literature.